Navigate to the folder where you want to upload your files. 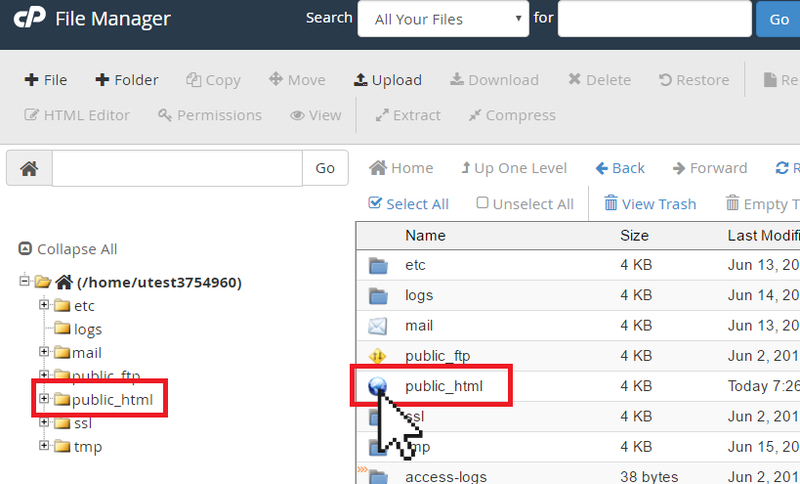 For example, to upload files to the root directory, you will need to open the /public_html folder. 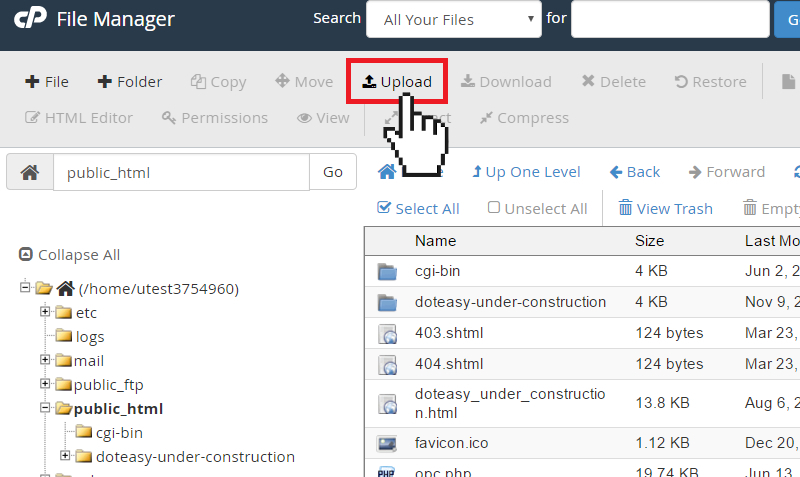 Once you have opened the folder, click on the Upload icon. This will open the file uploader. 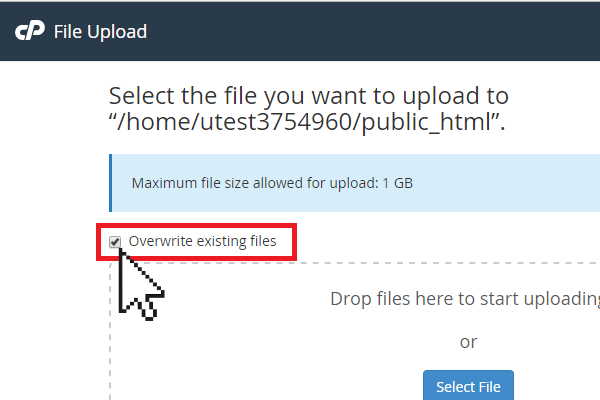 Check the Overwrite existing files option if you want to replace/overwrite existing files with the same name. Click on Select File to browse for your file(s) on your local device. You can also drag and drop your file(s) into the uploader. The upload will start automatically.